With its flair and maritime charm, Hamburg is one of the most beautiful cities in Germany. The “Gateway to the World” – as the port city on the Elbe is often referred to – offers its visitors city life pure and simple, with unique experiences in shopping, culture as well as nature. 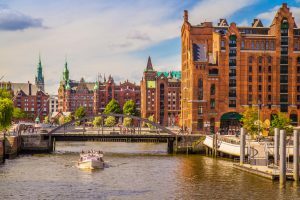 Grand shopping boulevards, elegant arcades, and some of Germany’s best hotels are to be found in Hamburg. This Hanseatic city boasts not only elegant residential areas and town houses on the Elbe River, but also luxury at its best: abundant nature and green areas, time to savour culinary delights, and a relaxed attitude to life. While elegant Hanseatic style doesn’t have to be expensive, it certainly exudes a unique identity – just like the residents of Hamburg. For further information on Hamburg, please contact our DMC offices in Hamburg at hamburg@kater-dmc.de.